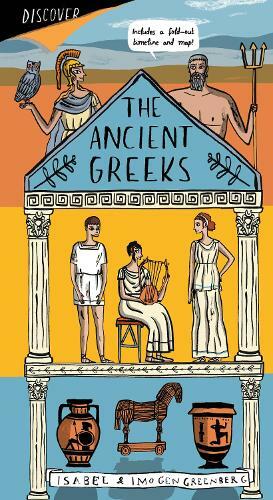 Learn everything you need to know about the Ancient Greeks, and some of the things they'd rather you didn't find out! Packed full of facts and witty asides, this book, which includes a fold-out map and timeline, uses comic strips to explore a different theme or topic on every spread. Created by graphic novelist Isabel Greenberg and her sister, Imogen Greenberg, the Discover...series offers a fresh and accessible entry point to history for children 8+.